I have some exciting news for video game fans! 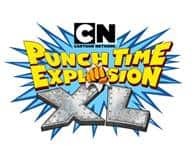 Cartoon Network: Punch Time Explosion XL video game is being released in stores on November 15th. This brawler video game is available for PlayStation®3, Xbox 360 and the Wii™ and will feature iconic locations and an all-star cast of your past favorites such as Samurai Jack, Johnny Bravo and The Powerpuff Girls. In fact, there’s a total of 26 characters including a brand new character, Hoss Delgado ~ check out his character in the video below. There will be a total of 8 new characters! This game was inspired by the original Cartoon Network: Punch Time Explosion on Nintendo DS and is sure to be a ton of fun as you duke it out with your favourite characters. It also features 5 new battle arenas and a wide variety of multi-player options including different types of battle modes, and an in-depth story mode that introduces an all-new co-op gameplay experience that supports up to four players. Add Cartoon Network: Punch Time Explosion XL to your holiday shopping list and pick up a copy on November 15th! One reader is going to win Cartoon Network: Punch Time Explosion XL for Wii and a limited edition lithograph of the Powerpuff Girls! Watched the video and it’s a little to violent for my 6 year old, but I think ok for my 10 year old. I would give this game to my nephew if I won. Oh I love the Powerpuff Girls! I miss that show so much! I would give this game to my little princess (daughter). I would give it to my grand daughter. she would love it! My 16 year old daughter is a huge fan of the Powerpuff girls, so I would give it to her and she would be thrilled.